The Titans have arrived and they're hungry! 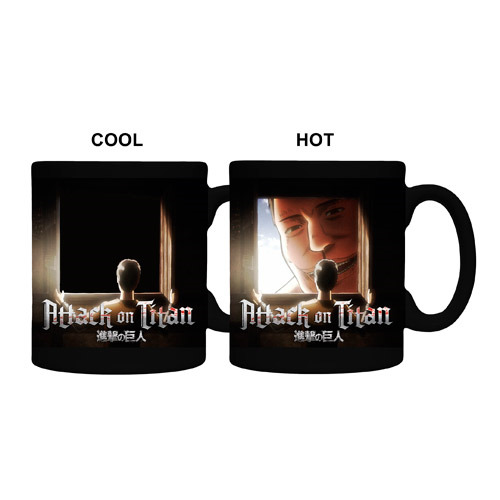 This Attack on Titan Window Heat Change 11 oz. Mug features an image of someone opening a window. Pour your favorite hot beverage in the mug and watch as the dark view from the window turns into a terrifying Titan peering inside! Hand wash only. Not dishwasher safe. Do not microwave. Measures 3 3/4-inches tall. Ages 13 and up.